ANNOUNCER: This is a production of Cornell University. DANIEL R. LARSON: So, the story I'm going to tell you about today started with cancer, and it's going to end with transcription. And we were interesting in a particular step during breast cancer-- understanding part of the mechanism of metastasis during breast cancer. And what we ended up studying were the detailed mechanisms of transcription, how transcription is controlled in the cell. So, behind me is a cartoon of tumor genesis. This is for colon cancer, but it's generally applicable to a lot of cancers. And the general idea is that cancer, of course, starts with this hyperproliferative growth, and through a series of permanent genetic lesions, transitions to different states-- so adnoma and carcinoma. And of course, for colon cancer we have losses on chromosome 18. Many human cancers involve losses of P53, or changes in P53 function. But the view that's emerging is that this last step in cancer, which is really the killer, may be different in these other steps. And it's different in a very interesting way. So if we look at genes which are upregulated in metastasis-- so metastasis is the part of cancer where cells crawl out of the tumor. They invade the surrounding tissue, eventually enter the bloodstream, and spread to distant sites where they form new metastases. And eventually these metastases grow into primary tumors. And so not surprisingly, many of the genes which are upregulated during metastasis are motility-related genes. So here I'm just showing you on the x-axis a bunch of genes. A lot of these ones I've selected are involved in motility. For example, cofilin, Arp2/3. And on the y-axis here is just the relative expression of these genes at various points during invasion and metastasis. And so of the three bars, the pale purple one here is the primary tumor. This middle bar is the invasive cells. And finally we see the distant metastases. And what you can see from a lot of these genes is that these are not permanent genetic changes. At least the expression changes are not permanent. So cells are upregulating these motility genes, they're crawling out of the tumor, they're going to a distant site, and then this gene expression signature is relaxing to something which is very similar to what it was in the primary tumor. And of course multiphoton microscopy has been instrumental in unraveling some of these mechanisms. So I'm going to show you a couple of movies here. This is-- well, first of all, this is sort of a measure of my own personal trajectory, that I was involved more with making the mouse than building the microscope. This mouse is MMTV-Cre mouse. So the tumor is shown here in white. And these green cells are macrophages. So what you can see are the macrophages crawling into the tumor, and they sort of sample the surrounding area of the tumor, and then they leave again. In this movie on the right, we can actually see a single carcinoma cell leaving the tumor. And it seems to have some sort of interaction with this macrophage. And the view that's emerging now is a lot of-- at least for this breast cancer model, is that there is this cooperation between macrophages and tumor cells. And you don't get invasion without macrophages. So there seems to be this communication between them. And so, I think there are a number of groups that are doing multiphoton microscopy on tumors and metastasis. So while this technique is by no means routine yet, it is certainly widespread. So we were interested in trying to conjure some sort of control over this process. And we wanted to do it in a very specific way. We wanted to be able to control-- we wanted to activate specific genes in specific parts of the tumor at specific times, and specific steps of tumor genesis. And then we wanted to be able to see how the system evolved after that. And of course, the only way to do this is really with light. So we were trying to develop a method to uncage gene expression. And we thought, even if we couldn't do this in a tumor, even if we couldn't do this to address some of the single cell origins of cancer, we could also look at interesting questions in transcription and how cells regulate their genes. So we wanted to look at all parts of expression. And so the way we do this, the way we look at gene expression in living cells, is with this system which was originally developed in Rob Singer's lab at Einstein. And the idea is we have a reporter gene-- so here's the promoter, here's the coding sequence. And into this reporter gene we add these stem loops. And I'm only showing a few here, but we actually add about 24, sometimes 48 stem loops. And they don't seem to interfere with that processing of RNA. And then we add an additional gene into the cell, which is this bacteria protein called the MS2 coprotein. It's part of a bacteriophage. And the idea is that this protein specifically binds these stem loops. So if we label this protein with a GFP, we express the reporter gene and we express this gene, now we get into reporter RNA, which is fluorescent. And so now we can see all of the RNA in our system. So this allows us to see very early stages of expression. And so this is what it looks like when you actually look in a microscope. And so all of the rest of the images I'll be showing you are actually just standard epifluorescence images. And the idea is that if we have a gene here, and this green blob would be an elongating complex. It's composed of many, many factors. The business end of this is, of course, RNA polymerase II for this gene. And once this gene goes through the MS2 region, it transcribes these stem loops, the fluorescent protein binds, and then we can see this RNA at the transcription site. Now, I want to point out, this doesn't have anything to do with GFP folding, and the MS2 protein has been stably expressed for-- it's at steady state. And as soon as the RNA is there, then this MS2 protein coalesces around it, and that's why we see it. And so what we can see then are these transcription sites in the cell. So that's what we're seeing, which are these bright dots in the nucleus. And the reason why it's easier to see transcription sites than, for example, RNA, is because the nucleus has this architecture where the transcription sites of a particular gene doesn't move around too much. It stays pretty much fixed during the process. Of course, eventually this RNA will be exported. So here I'm showing, for example, a polyadenylate RNA in the cytosol. And then hopefully this RNA gets translated. And we have two markers. And these are just sort of endpoint markers. So we don't really care about peroxisomes. We just use it, and we label it CSP, because it concentrates the fluorescence in a very small spot. So it's easy to see, and we can see it very early after the protein has been made. And we also put in a DsRed because we thought, well, this might be useful when we start doing multiphoton microscopy in animals. And this is the scheme that we're using to do light-activated gene expression. And it's based on the insect molting response, which is based on ecdysone. So ecdysone and its relative ponasterone have no effect on mammalian cells. In fact, a lot of plants use ponasterone as a biomimetic to thwart insects. So for example, spinach contains a lot of ponasterone. And this system was originally built by Ron Evans at Scripps. And I'll take you through it a little bit here. This is the main protein which he engineered. So it's based on a nuclear receptor system. So he took this ecdysone receptor, which as I said is an insect receptor, and he added a few bells and whistles to it, something-- this VP16 activation domain to really juice the response. He added a DNA binding domain, which is slightly different than the native ecdysone domain. And the idea is that this part of the heterodimer dimerizes with a mammalian nuclear receptor, which is the retinoic acid receptor. When it's bound and this co-repressor is here, we don't see any transcription. Once ponasterone comes along, it relieves this co-repressor and the rest of this gene fires. And now you see transcription, which is indicated here by this basal transcription machinery, which will start to move along the gene. So this is what ponasterone looks like. And we know from approximately 40 years of biochemistry that this hydroxyl residue is really important for function. So if you change this or if you take it off altogether, then this system no longer works. And it's exquisitely sensitive. So even the stereochemistry of this region over here can completely abrogate the response. So in a sense, this is a very difficult molecule to do organic chemistry with. So my collaborators had to develop a lot of techniques to selectively cage this group. But the nice thing is that this caged ponasterone is cell permeable. So we can incubate the cells, it fills up, and then the idea is we hit it with light and we activate the gene. So that was the plan. And so I'm going to take you through this gene, this reporter gene that we built in a little bit of detail, only because it's important to understanding some of the results we see later. The first thing we did is we multimerize this response element. So this is the part that binds our nuclear receptors. So it's now instead of, say, one or two or three times, we have 85 of these. And this gene is now drawn approximately to scale. And we've added a few other bells and whistles. The important part here is that we get two proteins out of it. We get a CFP protein. And right after the CFP, we have this MS2 region. So this is the region that makes the stem loops, and this is how we get to see the RNA. Then there's an internal ribosome entry site. And finally the DsRed, and then we're close to the end of the gene. So if you could look at this gene ideally, what you would see is-- if you could follow this gene in real time, you would see fluorescence, which is essentially zero, after the gene just initiates. Then the polymerase elongates through this MS2 region. So we would expect to see an increase in fluorescence as the MS2 protein is added. And then we have a post-MS2 elongation where the fluorescence would just stay where it is. And that would stick around for about a minute and a half. And then we would see this RNA, which was at the nascent site, disappear. And what you see when you do this, this image on the left is-- if you do this with a transient transfection. And in transient transfection, we have many, many plasmids in the nucleus. And these plasmids are sort of free. They're not incorporated into the genome. They don't have to deal with chromatin. And so when these cells are induced, you see this very fast formation of transcription sites, and eventually the export of RNA into the cytosome. At the bottom, I'm showing the timeline of the experiment, and that's important because some of these other experiments will have a different dose of ponasterone. But what you're seeing here is we add ponasterone, we leave it in for the entire series, and that's how we see both the transcription, RNA with the cytosol, and eventually we'll see CFP peroxisomes. Now, to make this system more realistic and to make it something that would resemble more of what we'd want to look at in cancer, we want to be able to look at single genes. And that's a little more challenging. So to do that, we made this lentiviral vector. And the details of that aren't important. The important part is that it integrates our reporter gene into single sites within the genome. So sometimes we get one, sometimes two, sometimes three, in rare cases more than that. But you can control that just by changing the amount of virus you use. And the first thing you notice when you do this is that the response is much, much slower. So the time is always shown at the bottom. So this is five, six hours after induction. And eventually we'll see transcription site. We saw one earlier, and there are the other two. And these guys don't stick around for very long. And the reason is, again, because fluorescent RNA is made at the site, it's there for a short time, and then it's released. So to catch it in the act at this very slow time resolution is fairly challenging. If we look at higher time resolution, we can see these single genes in action. So now what you see are these sites blinking on and off as transcripts are made at the site, they leave, and then eventually they end up in the cytosol. So now we're talking in three-minute resolution, as opposed to one hour resolution. One of the things that maybe won't surprise this audience but I think is a shock for many biologists is that, of course, these transcription sites are not in sync. Sometimes one is on, sometimes one is off. And this is just a consequence of the socastic nature of gene expression. When you're looking at single genes and single initiation events, this is the kind of fluctuation that you might expect to see. So we thought this would be very easy. We incubate the cells with the caged Pon A. We hit it with light, and boom, we see expression. When we did that-- so a few details about the experiment. The uncaging laser we're using is a tripled YLF laser at 349. And we used pulses because we wanted to have a very tight control over the dose. So we wanted to be able to say that we're getting two pulses or four pulses. And the size of the uncaging spot is very large. It's about the size of a nucleus, as shown right here. And again, the experimental timeline here, we're giving a single pulse right at the beginning. And then we wait to see what happens. And what we saw was a little bit surprising. We would see these transcription sites form in the cell and persist for hours. So this is nine hours, 10, 11, 12. And they never went away. And so whenever we did this sort of short simulation, we had the accumulation, or what looked like the accumulation of transcripts at the transcription site, and we never saw a protein. So this was a little puzzling. You can mimic this response by just doing a very short incubation with ponasterone, with the hormone. So in this experiment, it's not an uncaging experiment. We just add ponasterone into the bath, and then we remove it. We wash it out, and we watch the system evolve from there. And again, with this temporary stimulation, with unmodified Pon A, we saw transcription sites would persist for hours and hours after we removed the drug. In fact, we could see these in every cell. I'm just showing a few here. The tracking was actually done with an algorithm that Russ Thompson and I developed while we were grad students in Watt's group. But if you look at 14 hours, almost every cell has one of these transcription sites. And of course many cells have multiple sites, which is indicative of multiple insertions of our reporter gene. So if you look at the intensity a little more closely, you'll see something which suggests that individual transcripts are being added or being initiated very infrequently. So here is the integrated site intensity. This is just counts now on the y-axis. And again, note how long this x-axis is. We're talking many, many hours here. And we would see these jumps of intensity where transcripts were initiated and then persisted at the site. Now, you would think once this thing gets going that you would see a quick rise and then some sort of steady state level where things are coming off and they're coming on. You can actually see this same process in individual cells, which I'm showing here. So a site forms, you can see it for many, many hours, you can follow these individual transcription sites, you can see them get brighter by eye, and we see an intensely trace which sort of recapitulates the average. The average is for many, many particles, and this is a single particle. Now, at this point you might be saying, well, how do we know these transportation sites are really making any RNA? Maybe they're stuck. But what we saw are that transcripts are still initiated almost 10 hours after ligand is removed. And the time between initiations was still quite long-- so almost two hours. So here we are photo-bleaching these sites to see if they recover. So this should be a measure-- if new RNA is always being synthesized at the site and we bleach out the old RNA, we should see new stuff coming back. And I always call this FPR, in deference to the Webb group and Professor Ellison and Professor Schlesinger. But I think we've lost that battle now, because everyone calls it "frap." But what you see in a site where we've left the ponasterone in, is after we bleach it, we see a recovery. So this indicates a new RNA is being made at this site. So again, we do the bleach, and then we see the recovery. And this is taking an image about every 10 seconds. And you can see all these RNA in the cytosol. but if we look at a site which was induced with this very short simulation of ponasterone, after the bleach pulse, it never comes back. So there's the bleach. Now it's gone, and we don't see it recover. So if you quantify that-- and this is the recovery on the site in the case where ponasterone is always present, chugging away we have lots of transcripts being produced. And this pink curve is the case where we've created this artificial situation where transcripts seem not to be leaving the site. So for some reason, we're seeing a block at some point far down gene. And so this is not what some people-- for example, John Lis-- have observed, which is pausing near the promoter. We're actually seeing the polymerase enter into elongation, it's gone a substantial way down the gene, it's gone far enough to synthesize these stem loops, and then it's just stopping. Now, it may be stopping further up as well, but we wouldn't see that, because it wouldn't be fluorescent. So all we can say is that it's made it at least this far in some of the cases. So let's look at this in closer detail. This is the structure of the ecdysone receptor in partner with its drosophila binding partner, which is ultraspiracle. So on the left, you're seeing the ecdysone receptor. And kind of back and to the right is the ultraspiracle. So in our case, this would be the retinoic acid receptor. And I'm showing here in the binding pocket ponasterone, and I've rotated the view to see the hydroxyl where we actually add our caging group. And it's thought that activation of this receptor involves-- so here's the end terminus. Here is the helix 1, helix 2. And it's thought that when this ponasterone is bound in the binding pocket that this helix 1/2 loop is stabilized. And this is the signal for transcription to begin. It's not known whether ponasterone is docked to the receptors which are bound to the gene. All we know is that there is some slight chemical-- excuse me, structural shift, once this ponasterone binds. And the other thing to know is that in-vitro measurements give it an association time of about 18 hours. So this is-- it's sub-nanomolar binding affinity. It's almost antibody affinity levels. So we have a very fast on time and a very slow off time. Furthermore, one of the interesting things about this structure is that there appears to be this region of electron space in this structure, which has been called the ancillary binding pocket. So this is a cavity within the structure. And what they saw was that this structure can accommodate a number of different ligands. You can bind agonists into this same pocket, and in that case, the nuclear receptors are inactive. But the agonist is still bound. And so it was thought that this was a very flexible ligand binding domain and that it could accommodate a number of different conformation. So with that suggestion, we looked at some competition experiments to see whether our caged reagent was actually bound in the binding pocket and possibly the receptor was parked on the gene. So the way these experiments were done is we pre-treat the cells overnight with the caged reagent. And then we washed out the caged reagent. And then we treat the cells with the active ponasterone. And then we wait and see if we get protein. And the cells treated with one micromol of caged Pon A, and we looked for proteins. And now this is percent activation on the y-axis and ponasterone on the x-axis. We see very little activation. If we don't have this caged reagent, we see this very nice activation. So what this suggested to us is that our caged reagent is somehow competing for the unmodified reagent. And so this gives us a great handle on specificity, because it says that we can incubate the caged reagent, let it bind at the receptors, the receptors may be docking on the gene, we wash it out-- because remember, this reagent, once it's free, it can diffuse around, it can leave the cell, it can go to other cells. So the question is, how do we get single cell selectivity with a hormone which can diffuse to many drugs? And this was one possible handle on that. So, the model that I was always-- that I think I had in my mind, and which is sort of the dogma in the transcription field, is that these nuclear receptors-- so here's the structure, and these are the DNA binding domains-- bind the ligand, they're parked on the gene, and this guy fires. And now we get elongating polymerase. This is the strands coming off. This is the RNA that's being synthesized. And then all you need is a single binding event, and then this thing goes. So for lack of a better word, we can call this a differentiator model. In terms of a burst of ligand-- a single burst of ligand is sufficient to initiate transcripts which go to termination, are processed correctly, enter the cytosol, and get translated. And there's two lifetimes-- or at least two that you want to keep in mind. One is the lifetime of the ligand receptor complex. So this is how tight ponasterone is bound in the binding pocket. And we know that from in-vitro to be about 18 hours, and for our in-vivo measurements, we know it's at least 10 hours, because we can see transcription 10 hours later. The other thing is this lifetime of activity on the gene. It's sort of nebulous the way I've written it, because I don't know if we can really associate it with a real chemical event right now. But what it says is how long is this active complex capable of initiating transcription, or keeping transcription going? And it may be as simple as an off right. Or it may be another factor which binds and which triggers transcription. The second model-- and there's some precedent for this model in literature as more of an integrator model. And it says that somehow the RNA polymerase is sensing the presence of this complex which initiated it at multiple points on the gene. Now, the actual structure of a DNA loop-- and people have hypothesized this before, Peter Cook, for one-- suggests that-- and remember, RNA polymerase and its associated proteins, this is a big complex. So it wouldn't be surprising if the complex wasn't moving, as rather the DNA kind of spooling out from beneath it. What is surprising, or what would be surprising, is if this elongating complex was somehow always checking back with the promoter to see if it still makes transcript. Although from a biological perspective, it makes sense that a gene which is responding to some sort of stimulus or some sort of drug or ligand or hormone would want to know if that hormone or ligand was still present. So let's keep this model in mind. And in fact, that's the only way that we can actually uncage cells. So this is an example, I think, of successful uncaging. Then this is, again, in-vitro. And the way we do this uncaging now is with repetitive pulses on the same cell. And so this was a little bit surprising, that this was the only way we could get it to work. But we're doing here one pulse per minute for 60 minutes. And I'm not saying that's the only way to do it. So far that's the way that we've found to do it. And so what you see is, we take this cell at the beginning, we activate it-- you can see the cell is pretty healthy, because it still divides at least once. And then this daughter cell produces peroxisomes. I'll show you that one more time. Cell comes through, we see division, and then the daughter cell produces peroxisomes. And this cell may be producing peroxisomes as well, but it's hard to tell with the overlap of-- these cells like to grow in very close confluent layers. Here's another example of that. In this case, we see the YFP, we come in with a laser pulse. And this, I'm doing a little bit shorter stimulation, only 30 pulses. But the spacing is the same, about a pulse a minute. We see peroxisomes the next morning. And then the question is, are these other cells which were around it, were they no longer active? Did they not respond because we selectively activated our cell, or maybe they would never respond. So we come in with unmodified ponasterone, and we light up the rest of the dish. So I think this model of an integrator at least works really well in this case which is, again-- and so we can at least put bounds on these lifetimes. So again, tau 1 is the lifetime of the ligand receptor complex. And that's going to be around 10 hours. And tau 2 is this lifetime activity on the gene, which in this case seems to be about minutes. In other words, we have to give an active dose of the ligand every few minutes to keep this transcript chugging along. So in a sense, it appears that the elongation complex need lots of little nudges to continue along. OK. So we haven't forgot about our original goal of doing this in animals to investigate origins of cancer and to look at metastasis. So now my collaborators in organic chemistry have recently synthesized this two-photon cage. I think there's a lot of work that goes into this slide. My experience with organic chemists is that every arrow on a slide is about eight months. So this is the two-photon cage. It's a quinoline group. And we screened many different compounds before we did that. And what you see here is the nice thing about this quinoline group is it makes the ponasterone a little bit more water soluble, which is nice. It's easier to handle. This was our original dimethoxy nitrobenzyl group. And this is the pure quinoline caged dysone. Now, we do everything with dysone because it's cheaper than ponasterone. But it's the same chemistry when you get the ponasterone. So, after 20 minutes you start to see the first peek at the active reagent. And then after one hour-- and remember, this is a cuvette experiment, so we're just shining a fairly low focus multiphoton, or 800 nanometer beam into the cuvette to uncage. And after one hour, we see this very rapid-- we started to see generation of the uncaged material. And to give you an idea how this would work in a microscope, for other experiments that we've done, typically one hour in a cuvette is, at least in a one-photon case, about two pulses in a cell. So under high NA, this works much quicker. So now that we've made this, we've actually measured the cross-section. And it's 0.7 GM. And so for typical multiphoton parameters, that means that a single pulse would give us about, at 100 nanomolar concentration, we would get about 85 molecules of the active ligand. So I think we're entering a regime where we can really start to do quantitative measurements on transcription, where we can really say how much ligand we generated, when it was generated, and what the response of the cell was. And of course, eventually we'd like to move this into tissue. So with that, I think I'll stop. And this work was a collaboration with primarily Sandip, who was the organic chemist. He was in the lab of David Lawrence, who was at Einstein, is now at Chapel Hill. And my postdoc mentors are Bob Singer and John Condeelis. And this was one of my favorite pictures from the time I was in Webb group, and this is a bunch of us having lunch, as we did, at the Temple of Zeus. And so finally I'd like to thank Watt for inviting me. It was a tremendous time being in his group. And it was very meaningful to me. And I think back on it with lots of fond memories. And he was always very patient with me and very firm at the same time. And thanks a lot for your attention. [APPLAUSE] SPEAKER 2: Maybe just a question? All right. The next speaker is Watt Webb. I think by now everybody knows about [INAUDIBLE]. [SIDE CONVERSATION] WATT WEBB: Well, the first thing I'd like to talk about is something different. This is going to be a fairly personal discussion. But I think the thing that is most important for me to tell you about myself is that the real pleasure of my life and science and in engineering has really been the pleasures and delight of learning and of participating with all of the people I've been able to work with. Colleagues, collaborators, students, postdocs, and way back in the beginning, the people who were teaching me. I look back on that, and it's been a very satisfying time. And many of those people who have provided me with the delight of my profession are here. And I want to thank you all and, from a ghostly distance, thank everyone else who I have had the pleasure of working with. Well, so, then a few other personal things. So, this tentanda via est, from Virgil. Where did I ever pick that up? Well, it turns out that my mother's uncle had a ring, a little sort of a family ring, which has it engraved, tentanda via est, around a coat of arms. And when I was quite young, I got curious about what's the translation. And I liked it so much that I sort of stuck with it. And I think it's a way that really tells me the way I think. To try is the way, is one way to say it. To experiment is the true way, another way to say it. But the thing I'd like to tell you about that's slightly screwy is my own convoluted academic history, which has been a bit of a disaster in the beginning. I was ill when I was young and started school at the age of 10 following a long illness. But the first thing I had before I started school was a job. There I was-- I was a horse wrangler in southern New Mexico up near the Continental Divide. And the thing that was fun about it was that it was the easiest job I've ever had in my life. Because my horse and I were recognized by the riding horses that we would go out in the fields to bring into the corral, because they knew when they saw me, oh boy, I'm going to the corral and I'm going to get something to eat and I'm going to get my coat brushed. Then I'll have to ride some people around for a while, but the first part's the good part. So that was the easiest job I ever had. But then I was a busy student trying to catch up, starting school at age 9. And I did eventually. I had a lot of fun trying and gradually learned a little bit. I learned to do everything but write so that I could read my own writing. I had to redo that when I got to college. But after eight years of school, I went to college in a little place in Boston-- or Cambridge, called MIT. Now, there were some limitations on what I was allowed to do. I was expected to focus on business administration. Why? Because my father expected me to be the third Watt Webb to run the family bank. And I had spent all my spare time in high school working in that darn place so that, in fact, when I got to MIT in business and engineering administration, I was able to take most of the business courses advanced standing, and pass them. Whew, boy, that was great. And that gave me a little bit of time to perhaps goof off. Well, I didn't goof off, really. I got very active in extracurricular activities and sailed quite a lot. I even may have a picture. Yeah. This was one of the boats. This is a firefly, and we were all trying to learn to sail it because it was going to be raced in the Olympics the next couple of years later. But MIT had about 40 sailboats that was racing all the time. The nice thing about it, it was right across the street from the classrooms. So if you were on the sailing team, there was always a boat there ready, rigged for you to go sailing. And the other sport was rifle shooting, where we again, just like the sailing, we were winning everything in the country those years. That was kind of fun, and I enjoyed that, without having to do much business. But there was time to enjoy some courses. And so I was able to choose those I wanted. I had to do some engineering, and I chose metallurgy. It's now called materials science. But also the philosophy of science, the psychology of learning, and-- what else? I have to look at my notes to remember. And that was about it. Extracurricular activities, too. But in 1945, '46, something interesting happens. It's just too bad it took that long. The Second World War ended. And for the first time, we had summer vacation. I had been, of course, going around the year-- we all had been-- in classes. And so I had a summer off, which I spent teaching sailing in a girls' camp. Now, that was the best job I've ever had. Maybe I'd better tell you more about it. The women counselors and I would pile into canoes after all the kids were in bed, and we'd paddle, paddle, paddle like mad up the local river and climb up a steep hill to the bar. We'd get there just in time to be able to order quarts of beer, plunk them on the table, and then we could drink them before it closed. Now, that's my educational life. But there's another thing that happened that was pretty interesting. And in a sense, maybe I learned a lot from that, because my senior year at MIT, my practical learning really advanced. Why? Because my classmates were an entirely different group. The war was over, and the members of the class were primarily matured returning military officers who decided that business and engineering administration was the way they wanted to go. And they already knew a lot about business and managing. And we did a lot of tours of industrial laboratories and facilities. Boy, working with those guys really was an impressive thing. I decided to do a senior thesis, and I did it in metallurgical engineering which provided a new look at the world. And the challenge that I assumed, or was set up by the professor for me, was to redesign the layout of a foundry, of a bronze foundry that was making the piston rings for steam locomotives. Let me show you a picture, too, of that thesis, if I've got them. Now, there is a big furnace on the right full of bronze that's being poured hot into a ladle that's going to take it off to a centrifugal spinning cylinder that was the mold that would spin it into hollow cylinders to be machined into piston rings. Well, there's only one trouble with that project. It was educational, but it wasn't exactly looking at future technology. Well, in 1997, at the age of 19, with my BS degree finished, I went off to an industrial job in Niagara Falls, New York-- nice place, then-- in the laboratory of Union Carbide Corporation. That experience, in developing automatic submerged arc welding processes-- you've probably never even heard of them, but you've seen the welds. Almost every propane cylinder has a little belt around the middle of a nice smooth lift. That's a submerged arc weld. And virtually all the three foot diameter pipeline in the world is made-- you take the flat piece of steel and roll it up-- welded by that process. And it worked. Well, that was sort of fun and I was learning engineering and all that sort of thing. But there was one little detail, which I have lost, to tell you about. And that was something that really made me think about my own career again. I was told that we had a patent problem. We needed to measure the plasma temperature of this submerged welding arc. Now, we're talking about an arc that has maybe 1,000 or 2,000 amperes at 150 volts. You could calculate the energy. And it's buried in a pile of molten slag, or flux, that is the welding protector and that sets the composition of the steel and all that. And how do I measure the temperature of the plasma? This is a guy who only had sophomore physics. Oh yes, I was very interested in astrophysics. How do you measure temperatures of stars? It's by the atomic spectra. And so we set up one of these welding machines in the analytical chemistry lab next to a two-meter roll and ring, and measured the atomic spectra with all of the intensities, and out comes the plasma temperature, about 6,500 Kelvin. And you know what that made me feel like doing? Going back to graduate school. Well, I'd been a C student as an undergraduate. Well, maybe B minus. And would I get to graduate school? Am I capable? So I went to night school for a couple of years, and that worked out just fine. So back to MIT. You can imagine how terrified I was when I took the first examination, but it worked out pretty well. The results were pretty good. There was only one grade I didn't get an A, and so that was very pleasing. And I had a wonderful professor for my thesis-- Carl Wagner from Germany, who was basically a chemical physicist, a high-temperature chemical physicist, and I was doing high-temperature measurements of chemical kinetics. What a mess they were. But along the way, just before I went there, something else had happened. It seemed that I came into connection again with a young lady that I had once met before at MIT when my date had brought along a blind date. And we all went sailing together. And that blind date I encountered again. And it was only about a year later that we were married. And she's sitting in the second row there with a big grin in the blue shirt. [APPLAUSE] I applaud her too. She rates as the best thing that ever happened to me. And we've only been married for, what, 53 years now? Or something like that. It gets better all the time. Well-- [LAUGHTER] You don't believe me. Well, anyway, so-- after graduate school, what was I going to do? I infuriated my professors by going back to industry. I went back to the same laboratory I had been in. And the task I had was to set up a fundamental research group in metallurgy. That was pretty much fun. But the trouble was the company-- and this is the real world-- had as its principal customer the steel industry. And that was a time in the 1950s when the United States Steel industry was going down the tubes rapidly. And this will amuse you. Computers in the 1950s-- anybody here old enough to remember what they were like? We had one that would have filled about half this room, which in the course of an hour can invert a 17-by-17 matrix. But you could do the total physical chemistry of steelmaking on that computer. And the first thing that we came up with was that the steel industry is going to go down the tube. The second thing we were going to come up with is that our industry-- that our customers were going to disappear. So Webb had the job of trying to get the lab into a different field. And the field I chose, which has already had an effect that you might connect with-- was to get the lab working on refractory transition metals-- zirconium, niobium, tantalum, tungsten, that sort of thing. And niobium, zirconium alloys were the material that that first alloy that made the superconducting magnet that was stable, by Mac Beasley, were made of. And that was what got me into superconductivity. And we went on in that area for about a decade with quantum superconductivity and all sorts of cute things. And one of the reasons I was brought here was to teach about defects in crystals. The Material Science Center, which is now called CCMR, was just being founded. And John Silcox, I'll bet he's here somewhere-- and I were the defectors, in that we had studied defects in crystals. What makes crystals weak, and what makes metals plastic, and that sort of thing. And I want to show you a little bit of mine. Oh, yes. I forgot to mention that woman I married-- there she is. I forgot to show a picture of her. And there she is again in the sailboat. I like that one. Oh, yes. And I forgot to tell you about my family. So before we learn about-- this is Watt W. Webb III on the left, and his son who is the expert-- Wiley is his first name-- who is an expert soccer player. He's the guard. In California where they live, in Malibu, the kids have a team for every year of age. And he's been a guard on those teams-- clink, clink, clink, clink-- and he travels all over the continent to compete. And who's that next to him? I think it's Paige, isn't it? And Wendy Webb, who is a wonderful woman, who's just resigned as Vice President of Disney. She's had enough of the place and is taken up with a new position at a higher level in another company. There she is skiing. And so there's a family connection. And Bucknell Webb, who's been here, is the standing up, looking very severe next to his lazy steering father in one of our sailboats. And now, Spahr Webb, Buck's twin brother, is a physical oceanographer. And while Paige and I were in France-- sorry, we weren't in France, we were in Spain-- he was down in the Alvin submarine, which goes down, oh, three or four miles. And here he is standing up next to the structure that's supporting it. This is the submarine, and there they are down inside operating it. They went down about two and a half miles to look at his instruments on the ocean bottom. This was off the west coast of South America, where the bottom is doing this. And that shaking up of the structures there along the so-called mid-ocean ridge-- but it's not really mid-ocean-- has a tendency to produce a little shake, shall we say, in South America. And they wanted to measure the rise and fall of these things to a very short distance. And his instruments that he throws on the ocean bottom-- by the way, I describe his research as going out to the deepest part of the ocean he can find, throwing $50 million worth of the taxpayers' money overboard, and leaving it there for six months, coming back, and singing at it with SONAR, and hope he can get most of it back up. He does this every half year, roughly. His twin brother is smirking at me down here. I think he thinks it's a true story. It's pretty close. And Winfrey wanted a picture of me sailing. And I wanted him to look at this one, which is the most exciting race I've ever had in my life. It's blowing about 35 knots. This is the storm spinnaker. It's a storm jib. You have a double reef in the main. And we're going like a bat out of hell. We passed the whole fleet that was off Block Island. So those are the sort of the things I've been doing. But now we get to the defects, which is what I forgot about the little interlude. These little fibers here-- everybody knows about how wonderful nanotubes are. Except I don't know whether they're ever going to be used for anything, because back in the 1950s we worked on perfect crystals, which have theoretical strength. They're at least as strong as nanotubes. And we even learned how to make some of them-- these are silicon carbide-- by the ton. And they're at least as strong as nanotubes. What are they good for? We thought we were going to be making composite materials out of them. Why didn't we? Because these are fairly short. Those are not more than an inch long. And it turned out that to make a composite with a plastic or a matrix of some kind that you could stick them in, the plastic just slips too much. It doesn't work. And of course, now you can make very strong composites by using fairly strong carbon thread, which is turned into a rope or a thread continuous that's strong, and you can transfer the loads. And this was one of our perfect crystals. Here is a needle of sapphire. And I decided I'd look at it in the electron microscope. Oops. I melted the end of the sapphire. Oh, well. But one could see how a big sapphire crystal grows. It grows in layers as the crystal gets stronger. And it grows around a dislocation. And John Silcox is one of the world's experts on dislocation structures, which he looked at in those days with electron microscopy. But when I came to Cornell, there was an undergraduate by the name of Cecil Hayes who was interested in these defects in crystals. And one can get an x-ray diffraction pattern, a so-called [? lalla ?] pattern, for those who know, from a single crystal. And what we were doing was taking a little cold, copper needle, dip it into supercooled water at minus 40 Celsius, and these ice crystals would grow. And ice is a hexagonal crystal structure. And these black lines are the interference contrast of a virtually perfect crystal which has now a defect in it, when we set up a coherent x-ray pattern to form this x-ray diffraction image. And the thing we learned from this, and Hayes was able to publish this in Science and in The Philosophical Magazine, ice has dislocations only along-- it's a hexagonal crystal at ordinary temperatures and pressures-- only along the basal plane of the hexagonal structure. How does a glacier plastically deform if it can only slip on one plane? Well, we thought about that a little bit and did a little bit of research on it. And it turns out that really what's happening is that when you look at ice major structures, there are always air bubbles in it. And diffusion of the ice molecules along these interfaces is really the major mode of plastic deformation. The other mode is breaking and cracking and all that sort of thing. So that was a lot of fun. And that was sort of one of the things I got started with here. And you know, and you've heard about the superconductivity. Then there was the phenomenon of continuous phase transitions, which you've heard a little bit more of today, because in membranes there are now continuous phase transitions being discovered. In the old days, it was mixtures of fluids or sulfur hexafluoride, which is a gas and a liquid that make a transition at about 35 degrees. Jim Woo is here, and that was his PhD thesis, was measuring the interface between the gas phase and the liquid phase and measuring the dynamics of the interfacial waves on that surface, as the difference between the liquid below and the gas above vanished. And that was one of the most complicated theoretical fits of data that I think I've ever seen. He did it and beat out the competition in France. I like to remember those things. Now, do I have any time left? Five minutes. What I'd like to do is show you a couple of recent things from my research. And this one, in particular, is not so recent. It's 2003. But it's not very well known, and it's a very important and active one now. What we're seeing on this Science cover is a zero mode wave guide. And there's a sheet 100 microns thick of aluminum that comes up to here. You can see the corners that "Science" didn't completely obliterate. It's about 50 to 75 nanometers in diameter. Parked in the bottom of it is a DNA polymerase. And the little green strand is a single strand of DNA, which is the template to be copied by the DNA polymerase. That's his job. It's a very complicated molecule. And the molecular steps-- there are six steps in the operation of this thing, as it forms the complementary strand from free-- see the little dots-- the free bases, the free nucleotides that then are captured by the polymerase, placed in place. Remember, they're four different bases. If it gets the wrong one, it spits it back out in a hurry. If it's the right one, it plunks it in place, moves along the top template strand, and it works. Well, how am I going to use that to determine the sequence of the DNA? Well, we do it a little differently than this picture suggests. And here's the whole thing blown up. Here's the polymerase. But now-- and here's the template strand. And it looks as though we're going to have each of the free bases labeled with the same color of dye. Well, we wouldn't learn anything if that were true. But in fact, there are four bases and four different colors of dye. And so we could look at the enzymatic synthesis of the complementary strand, and it works. And Jonas Korlach, who is here somewhere-- wave your hand, way back in the corner-- was the student who posed this problem. And you know, I thought it was an impossible problem. But we thought it was worth a try. And a number of people here, six or seven, at least one of whom is here-- looking around, there he is-- participated in this, and we made it work. So we had to have pure nucleotide analogs. We had to get rid of the flourophores from the previously incorporated nucleotides. So we don't want that little purple strand there-- I mean, green strand. So, what we did was we attach the dye to one of the phosphates, the gamma phosphate group, which the polymerase very conveniently spits off of the base as it forms the complementary strand. And we need to keep the volume around this thing very small, because the polymerase gets tired of waiting if there isn't at least a micromolar concentration-- I think I remembered the terms right-- of dyes for it to sample. And it works. And we made this work with Harold Craighead's group, who made these nanostructures. And this is a little sample of a standard chip full of these zero-mode waveguide holes. And it works. And how did we test it? How did Jonas test it? He took a circular strand of DNA. And we used the same geometry. But we had only two C's in the series. And the only fluorescent nucleotide we used was the complementary T to the C's. And so this would go around and around this way through the polymerase. And when we turned on the labeled material, this is a time scale, and this is the fluorescence of the complementary base. And nothing happens here except a little noise. And now we turn it-- plink-plink, plink-plink, plink-plink, plink-plink, plink-plink, plink-plink, plink-plink, plink-plink, and so forth. But you can see there's a lot of noise in this system. If we want to determine the sequence of a regular system where every base is being labeled, we've got to deal with those fluctuations. And there is a company called Pacific Biosciences that is spending enormous amounts of money trying to do this. And they're trying to do it not one DNA polymerase at a time but 10 to the umpteenth. In other words, I don't really know how big the systems are. But this is the kind of data they get. And you can see the label on each one of these pulses indicating the indications of what they have. So, they label it. Four different bases are labeled with fluorescent. And they're exciting it one photon-- no two photon-- with a variety of excitation colors. And out come the sequences. Will it work? Well, they only have eight or 10 competitors. But they're really working at making it go, spending money at an enormous rate. But we shall see. This is a very interesting and competitive process. And that is my story. I'll be glad to answer questions, if there are any time left to do so. [APPLAUSE] I scared them all away, right? Well, but I want to thank you all who have come. And I don't need to ask a question. I just want to say thank you again. It's been a pleasure for everybody who's-- for me. And I want to thank everybody who's worked on organizing this. It's been great for me. Now my head's going to get too swelled, though. [APPLAUSE] SPEAKER 2: So folks, we'll just take a couple minutes, and Professor Silcox will introduce-- JOHN SILCOX: I'm John Silcox. 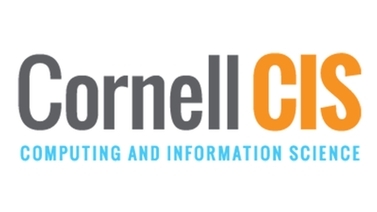 The Kavli Institute at Cornell has the general mission to address the major challenges and opportunities for science at the atomic and molecular scale. As part of that mission, it puts on various kinds of events, including a lecture roughly on an annual scale. Bob Richardson, our director, was unable to come today. He was away. And so I have the privilege of introducing the third Kavli lecture. Our lecturer, Rod MacKinnon, is actually no stranger to Cornell. He and his group have been users, welcome, and quite substantial users of CHESS for some time. The biological system he has chosen to reverse engineer I'm actually quite grateful to Winfried Denk for that particular suggestion, because it's always seemed to me that that's the way that biologists work. But I've never had a good word for it. I think reverse engineering seems to be good. So, the biological system that Rod has chosen to reverse engineer is, in fact, to sort out the mechanisms underlying ion selective membrane channels. His success at this endeavor is marked by the award of the 1991 Lascar Basic Medical Award, election to the National Academy of Sciences, and the 2003 Nobel Prize in Chemistry, among of course a lot of other things there. But I didn't want to go through the laundry list. Please join me in welcoming Dr. MacKinnon to the podium to present his lecture on ion channels and cell membranes. [APPLAUSE] RODERICK MACKINNON: Well, it's an honor to be here to give this lecture as the coda to the Watt Webb symposium. And I wanted to say congratulations to Watt, but I recall some years ago, I was at a celebration for a friend's birthday, David Hubel. And I said congratulations to him. And he looked at me and said, what are you congratulating me for? I didn't do anything. I just made it this far. So, I had to think of something appropriate. And I think the most appropriate thing I can think of to say to Watt is, I look forward to future exciting scientific results from your lab. The title is called ion channels in cell membranes. And I'm going to focus on one kind of ion channel, one process called voltage dependent gating of ion channels. And voltage dependent gating refers to the fact that certain ion channels have the property that they can change their shape or conformation in response to the voltage difference across the membrane. Now, as you saw in some of the earlier talks today, proteins changing their shapes, we all know that proteins do that as part of their function. So they undergo conformational changes. And usually, the energy for the conformational change comes from the binding of another protein or the binding of the molecule. So the free energy of binding favors one particular conformational state. And that's how the protein changes-- we say, changes its shape to that conformational state. Voltage dependent proteins are different, in that they get the energy to change their shape not from the binding of another molecule but because they're suspended in the cell membrane that is a capacitor. And there's a voltage across it, so an electric field in the membrane. So the electric field works directly on this kind of protein to change its shape. And in a voltage dependent ion channel, the electric field making it change its shape is actually coupled to the opening and closing of the pore of an ion channel. And the significance of that is that it is actually the opening and closing of the ion channels that set the membrane voltage. So you get this recursive property on the membrane that the voltage can feed back on itself. And so, many people have been trying to understand this process, and we understand it to some extent. But we have a ways to go. Now, as I talk about this kind of protein, I'm going to ask you to bear in mind something that we who study proteins usually don't bear in mind, and we should be bearing in mind. And that is that the protein is operating in the environment of this lipid membrane, this fluid liquid crystal bilayer. And when you think about what the protein is doing, you realize that it must be very dependent on the composition and the chemical properties and the physical properties of that lipid bilayer, which I think is interesting. Because in my view, we're starting to learn a lot about the nucleus of a cell and a lot about the biochemistry going on in the cytoplasm of a cell. But I think one of the deep mysteries in cell biology is the membrane. You know, it's very heterogeneous and very complex. And a lot of things are happening there that we don't yet understand. And I'll just touch on that at the end of the talk here. This slide summarizes the most well known application in biology of voltage dependent ion channels. And that is to propagate the nerve impulse. And so this is a cartoon of a longitudinal cross-section of a nerve fiber. So this would be a cylinder running horizontally. And this would be inside, then, this nerve fiber. This would be the outside, and this would be the outside solution here. And in little red and green symbols I've drawn sodium and potassium channels. And in cells, there are pumps in the membrane that establish ion gradients. So in a typical cell, there's a high potassium concentration on the inside, and there's a high sodium concentration on the outside. Now, when that cell or this axon is at rest, typically what happens is there are some potassium channels that are open rendering this membrane like a potassium electrode, so its voltage across the membrane sits at about the Nernst potential for the potassium difference across the membrane. When a nerve impulse travels, if you could look down on the membrane right where the nerve impulse was traveling, and that is a fluctuation in the voltage across the membrane, what you would see is that some sodium channels had opened, and sodium is rushing in across the membrane, making the voltage positive on the inside of the membrane relative to the out. And that would be different, then, in the neighborhood of the fiber where it's negative on the inside relative to out. So, there's a polarity flip across this membrane capacitor, driven by the sodium rushing in. Now, if you could then watch it, what you would see is-- so this impulse is traveling left to right in this case. You would look at a sodium and potassium channel off to the right before the impulse got there, and they would be closed. Now if, in fact, something happened so these could never open, this impulse would continue to go, but it would die down in amplitude and peter away. But what happens is suddenly this sodium channel over here opens up. More sodium rushes in so that the process regenerates. It doesn't die down, and it keeps propagating. And in fact, with a time delay, the potassium channel then opens up, and potassium rushes out. And if we go to the other side of this active zone, open potassium channels would be letting potassium rush out, restoring the potential negative inside. Now, how did these channels over here know they were supposed to open? The way they knew they were supposed to open is they felt the voltage difference due to the open channels in the neighborhood. And this is where the voltage dependence comes in, you see. The channel is in the membrane, it feels the membrane voltage changing, it causes it to open, sodium rushes in, and it causes the voltage to change further. OK. So, the work I'll be talking-- the data I'll show you, will be based on two kinds of measurements. One kind of measurement is electrophysiologic, and most of these are measured using a method called black lipid membranes, where you paint lipid in decade onto a partition separating two aqueous chambers, and then you-- you put your channel in lipid vesicles, you fuse them with this bilayer membrane, the channels end up in there. And with an electronic circuit, you control the voltage across the membrane and you measure the current. And the experiment looks like this. If this membrane had a single channel in it with a voltage dependent channel-- see, I step from minus 100 millivolts to plus 100 millivolts-- the convention is inside relative to out, defined as the intracellular side of the channel. It is called inside. When you step the membrane voltage minus 100 to plus 100, these channels open up with some open probability. And when you step back, they close. And if you look at a membrane with many channels in it, following the voltage step and the capacitive transient charging the membrane, you'll see the channels open up. That's this current turning on here. You step back negative, the channels close. What happens, actually, is potassium is rushing in here because in this experiment there's an equal concentration of potassium put on both sides of the membrane. And of course, these are channels not pumps. So what the voltage is doing is it's controlling whether-- it's changing the conformation of the protein to open the gate. But it's also driving the ions. So here it's at a positive voltage with the ions rushing out. And you go negative, they rush in. But because the protein is changing at this voltage, at minus 100, it goes to its closed shape. You see the closure. So there, looking at that kind of [INAUDIBLE], you get just a good sense of what one of these proteins is. It's suspending in the membrane. It's responding to the membrane voltage by changing its conformation. Now, the other kind of measurement data I talk about is from x-ray crystallography. And this is a voltage dependent ion channel, a big complex protein. This part is plugged in the membrane. It turns out for this kind of potassium channel, this part is in the cytoplasm inside the cell. This is the part we will focus on. Now, I think everybody in this audience probably knows all about proteins. But just in case, it's worth commenting on the funny ways we represent proteins often without thinking about it. So, this is called different ways to represent a protein. And this is two of the four subunits of a pore of a potassium channel-- the same channel represented in four different ways. So this is called a wire diagram, and this is called a ribbon diagram. And this is called stick, where all the non-hydrogen atoms are shown as sticks. And this is called a CPK model, where they're more realistic atomic radii. And the reason I show this is because sometime back, I was giving a talk at Caltech to the nanoscience center there and talked about proteins and gave this talk about complicated things that I thought was happening with a protein. And that night at dinner, I was sitting across from a graduate student in the program who was trained in physics. And he said to me, you know, all those things you said were very interesting, but I just don't see how telephone cords could be doing what you say. And I thought, telephone cords. And then it dawned on me, he's right. You know, telephone cords-- they do look like telephone cords. And I explained to him that actually that's just a subterfuge. The protein doesn't look like that. It's actually a very solid material. You know, Sol Gruner tells me that proteins are as compressible-- correct me if I'm wrong, Saul, but he said their compressibility is somewhere between water and diamonds. I mean, proteins-- is this right? SOL GRUNER: It's close. RODERICK MACKINNON: It's close. OK. So they're very incompressible. They're basically very solid material. A little funny extension of that anecdote was, I said to him, oh yeah, they look like telephone cords. I said, actually, that's called an alpha helix. The alpha helix was discovered at Caltech. And he said, oh really? Who did that? And I said, Linus Pauling. And he said, oh, who is he? So that was also a very important message about ever trying to think you'll do something that anybody will remember. So we represent proteins in different ways depending on what we're trying to show. So for a big potassium channel, where you just want to get a feel for what it looks like roughly, if you want to trace it like a road map of Manhattan, you don't have all the detail, you show something like this. But if you focused in on one little part inside the core of this that we call the selectivity filter, and you want to concern yourself with atomic distances, you might show a stick atom model, or something like a CPK model to get a sense of how the ions are snugly pressed up against the protein. So, next point-- proteins are very module-- so, there must be nanotechnologists and people who don't necessarily study proteins here. But what you see and what nature has done with proteins is they're very modular. So these are four different kinds of potassium channels. And they all have something in common. And that is, they have this little unit-- you see, here, here, here, and inside here. Something that looks almost the same. And it lets potassium cross the membrane when its gate is open. And they're all basically chemically the same in that part. But notice everywhere else, they're different. And it's because this particular channel is open when calcium binds to this big structure down here in the cytoplasm. And it changes its shape and causes the pore to open. This kind of channel interacts with G protein subunits, causing it to gate. And this is a voltage dependent channel. And in fact, that's the one we're focused on here. And if you look at kind of a bird's eye view, looking down on the membrane, this would be the pore, and these would be what are called voltage sensors. And in fact, it's these guys, these identical proteins surrounding here, that are suspended in the membrane-- they're part of the channel-- that sense the membrane voltage and gate the pore. And if you look at a simpler representation of a voltage dependent channel subunit-- so notice, these are four subunits. They're four identical subunits shown here in four colors. And notice, this part that's making-- four parts of it are making the pore. And then this voltage sensor is actually covalently linked to the green part. So the pore subunit in the voltage sensor are this way kind of daisy-chained around. So now if we look at a simpler representation of one of the subunits-- so this would be the part that one of four of these made the pore, and then there were four of these things. What you see is in the amino acid sequence, there's one place in what's called S4, the fourth segment, that crosses the membrane that has a very characteristic and unusual sequence for a membrane protein, in that every third amino acid is arginine, once in a while lysine, but usually arginine. The significance of that amino acid is it carries a positive charge under almost all circumstances. It's very hard to extract the proton from that under any condition-- under any condition that you would meet in a biological system. And so these carry positive charges. Now, like other membrane spanning segments, the other amino acids in here are very hydrophobic, very oily like-- so like the inside of a membrane. Now, when people first saw this sequence, when the first voltage dependent channel was [INAUDIBLE], and that was the sodium channel, voltage dependent sodium channel by Shosaka Numa, they immediately focused in on those residues because after all, everybody knows that a voltage sensor must be able to respond to the-- somehow the electric field is able to do work on this protein. So it makes sense that there are going to be some charges in there. And it turns out all the voltage dependent channel genes and all the voltage sensors we know fall into this kind of category of protein that has these basically four membrane spanning segments. And the fourth one has positive charges that are responsible for voltage sensing. Now, the simple idea about voltage dependent gating is depicted in this cartoon. You could have a closed conformation or an open conformation. And this voltage sensor would, in its shape change or conformational change, would be moving some charges some part of the way through the membrane electric field. And in that way, you can couple the voltage difference across the membrane to the shape of the protein. And what you see is if you look at the open probability as a function of membrane voltage in a channel like this, you see-- so, this x-axis here is millivolts, running from minus to plus 100. And this is something proportional to open probability. Look at the steep turn on here. So at this channel, at minus 80 millivolts, open probability is almost zero. And by minus 60 millivolts, it's almost one. So it's a very sharp turn on. And the reason it's a very sharp turn on is because this charge, how big is it? It's large. So it's very responsive to the changes in the membrane voltage. And in fact, how large? You can measure it very accurately. These are measurements made by a graduate student in my lab when I was at Harvard many years ago. And in a sense what Sanjay Agarwal did, is he expressed a voltage dependent channel in Xenopus oocytes. He blocked the ionic current from going through the channel with a toxin that sits over the pore and plugs it, and then he stepped the membrane voltage. And there you can measure what are called gating currents. They're transient currents associated with the movement of those charged residues. And you integrate that current to get to charge. And you plot that as a function of voltage. And in an empty oocyte, it's almost an ideal capacitor. Here's q is a function of v. It's quite a straight line. But if you express these channels, you get an offset, and this offset is the amount of charge in the oocyte. And in a separate experiment, he would take the very same oocyte, put a radio label where we knew the specific activity, and counted the number of channels in the membrane. And here is a correlation of the charge per number of channel with many different experiments. And you can see that there's nearly 14 elementary charge units across the membrane voltage difference when a voltage dependent potassium channel opens. That's a very big charge displacement. Remember there are four subunits. So that's about three and a half elementary charges per subunit across the membrane. So this-- I showed you the voltage dependent channel with all its big elaboration in the cytoplasm. But we're going to focus just on the part that's inside the membrane, because this is the part that's sensing voltage and opening and closing the channel. In fact, you can cut the stuff off in the cytoplasm, and it will lose some properties. But it will still exhibit its voltage dependent potassium conducting properties that we're interested in here. And so this is looking at it from the side. And there's one part that I show in red here on each of the subunits. And we call this the voltage sensor paddle. And the reason I'm showing it here is because this structure was actually made out of a chimera where the paddle was moved from one voltage dependent channel to another. And if somebody wants to ask why we did this, I could go into it later. It ended up yielding very good crystals that diffracted x-rays well and gave us a very good structure. Also, it functions very well. And it turns out this unit is a very important unit. And as I'll show you, it appears to be sort of the mobile part of the voltage sensor. We'll get to that. Here is a look. If you broke one of these voltage sensors off of the pore and just looked at it by itself, it's a rather simple protein where it has a helix we call the S1, the first helix. This big elaboration is a loop. You can cut it off. It doesn't matter. S2, coming down here, a funny turn. What we call S3a, and then S3b and S4. S3b to S4 here is called the paddle. Then it connects to this funny horizontal helix, and I'll tell you more about that. So it's four helices. More than that, but four membrane spanning segments. And it's got this, in a sense, two halves. And I'll show you that actually these halves probably scissor, one relative to the other. Now, what are we looking at here? So now I've done a different color coding. And now don't think I just now made a fancy different channel. I'm just trying to emphasize something different here. Here I've taken the same structure we were just looking at. I broke off three of the voltage sensors, and I'm showing you the pore crossing the membrane. And one of the voltage sensors. But I've left these horizontal helices that connect the voltage sensor to the pore to illustrate something, and that is that these helices kind of make a cuff around the pore. So if we're starting to think that somehow a shape change in here has to lead to a shape change that opens and closes the gates here, I think almost anybody could get the impression that, well, gee, this cuff might be significant. It's wrapped around the pore, the part that has to open and close. Maybe it acts like a lever. And in fact, maybe if we-- how do we know-- first, what conformation is this in? I'll show you that this is an open pore. How do we know this? We've determined the structures of five different potassium channels now. And it turns out just from looking at them, we think two of them are closed and three are open. So here are two kinds. One's KcsA, and one's called Kir. These are helical ribbon representations. And here are surface representations showing that the holes, the openings-- you're looking from inside the cell, if you were inside looking out, they're very, very narrow here. And three of them are in a different conformation. So these two are very similar conformations. They're different channels. These three are different channels, but very similar conformations. And they're open. The holes are much bigger. And it comes about by a simple difference between them in structure. This would be a closed one. That would be an open one. So you can see that there's sort of a movement of these helices, almost like the aperture of a camera. And if those red helices that were surrounding making a cuff are nicely poised in a position to squeeze down on this pore and cause it to close-- and so here you're looking at breaking all four voltage sensors off but just leaving these S4, S5 linker helices wrapped around the pore. So you've got this suspended in the membrane and just at the inner surface these horizontal helices, each one is attached to a voltage sensor. So the idea is that somehow motion in the voltage sensor could do this-- push down, force it shut, or lift up and open it. Very simple mechanical picture here. This is straight out of the crystal structure, just cut out. This one is hypothetical. It's actually moving these blue helices to the position of the channels that we observe as closed. In a minute-- you're probably thinking, well, why not just solve the structure of a closed one? That's a good idea. We should have thought of it. No. I'll tell you-- we're trying, but I'll make a comment about the energy involved, the problem. But it's not a ridiculous hypothesis to think that this is the conformational change that takes place. I mean, the closed versions of channels are in this conformation. So if you just let this red helix follow, it would undergo a sort of lever motion like that. Also, there are many functional studies that look at accessibility of the pore from inside the cytoplasm to, say, cysteine reactive agents. And this kind of motion is very compatible with the gate shutting right here, as if these helices come closed. So if the pore is open, how might the voltage sensor then close it? So now I break off the voltage sensor, and we look at only it. And here is that first S1 helix. I've broken off this loop up here that you can actually cut off and the channel functions fine. The S2 helix runs down the back, and it makes then a loop. And here is S3a, S3b, S4. I've shown side chains from some important amino acids. This, this, this, and this-- these are arginine's residues. And in fact, they're arginine residues-- we know if you mutate them, they affect the quantity of gating charge. In fact, in most voltage dependent channels, you find this arginine, this arginine, this arginine, this is an arginine, and that's not. It seems to have swapped its position here in this particular version. So, all of the experiments, well, we've actually asked, who carries the gating charge? We come up with this one, this one, this one, this one, and a little bit from the lysine that's right here. Nothing here. Now, the conformation here, if you look at it-- so, this is-- I'm telling you, the pore is open. So we should expect the voltage sensor to be in a, quote, open or open configuration. And this kind of channel opens when the membrane is made relatively positive inside. And so the charges-- in that cartoon, the positive charges move out. And if you look at their positions, they're certainly closer to the outside than they are to the inside. And in fact, this voltage sensor makes a cleft in it. It's kind of an aqueous cleft here. And this guy, although he's kind of down into the membrane, these are really up close to the surface electrically. And I think this material is probably much higher dielectric than the surrounding material. And the electric field is such that these are very electrically close to the outside, I suspect. So the conformation is reasonable for this to be in an open position. But what we know-- and it's very interesting to look at this-- is these have to get electrically to the inside. And there are very good measurements that tell us that they must electrically appear nearly all the way on the inside. So there has to be a big conformational change that takes place in this voltage sensor structure. Now, I made a comment about the difficulty in determining the structure of the closed conformation. And I come back to this picture showing something proportional to open probability as a function of membrane voltage. And here is zero. Notice that this channel is open at zero millivolts. And in fact, you have to make the membrane very negative to close it. And so, the midpoint here is about minus 17 millivolts. So in fact, to make it half-close these channels, you have to put a minus 70 millivolt voltage on the inside relative to the ground on the outside in order to pull these channels half shut. Now, I told you that when one of these channels open, almost 14 elementary charges cross the membrane voltage difference. So if you do the calculation, you see that this is something like 35KT of energy. To in a sense squeeze this channel shut, you have to make the capacitor very negative on the inside to pull this thing into a closed conformation. In other words, the closed conformation is what people in proteins call a tense conformation. It's a higher energy conformation, and you need the electric field to drive it there. And at 0 millivolts, it's open. In the crystal, we're at 0 millivolts. So that's, I think, why we keep seeing open conformations of voltage dependent channels, and we have to figure out somehow how to coax this into a closed conformation, overcome the energy that the cell membrane does electrically. But although we can't see yet a closed conformation, we can make measurements that that let us infer how much motion takes place. And this is a picture of not the paddle chimera or KV 1.2 voltage dependent channel, but KVAP, a very related voltage dependent channel. The picture-- I'm just using this picture to illustrate a point, and that is if we can attach a tether here that we can then act-- so, a biotin tether, tether with biotin that we can bind to a protein called avidin, or streptavidin, that can't go inside the membrane but binds on the outside. And we can ask, if we know the tether length, we can start to deduce whether this region moves when we change the membrane voltage. In an experiment-- the experiments you do here are very clean. And it's shown here that I stepped the membrane voltage-- this channel opens up, step it back, it closes. The red tray shows what happens if I add avidin to the outside, so I have a particular biotin tethered to this position. But what this shows is if I add avidin to the outside, I don't do anything to the channel. Avidin doesn't reach the biotin. But if I add the avidin to the inside and then depolarize, I get the blue trace. The channels are completely inhibited. And this is a very, very robust effect here. You pulse, pulse, pulse, pulse, current's not changing. You add the avidin, you inhibit the current. And what we say is then the biotin tethered here had to be accessible to the inside but not the outside. And you'd look at this and say, well, why should that be? That's right in the middle. But the way we do this experiment is we close the channel and we open the channel. And in fact, we're showing here an open channel. So presumably it got there when the channel was closed. And that is the case. So here is actually a sort of a picture showing you how big the avidin is and the idea of putting a cysteine with a tether in a biotin on it. And we've studied the channels this way with many different tether lengths. But I'll just show you one summary picture from a short tether length, where in order for the avidin to reach the biotin, that cysteine that we put in there to which we tether the biotin has to come right to the surface of the membrane. And so what you see in a pattern of a lot of experiments-- so, this is again looking at one subunit-- the pore is over here, helices for the pore. And this is the voltage sensor. Now, the black spheres are positions where you never access. You put the biotin tether there, and the avidin never sees the biotin, does not inhibit it. The blue spheres are positions that are accessible to the inside. And the red spheres are accessible to the outside. Now, this makes sense to be the outside. This makes sense. These make sense. These almost make sense, but not quite. They're a little low. These blue ones make sense for the inside, and all the black ones make sense to be the inside. But these blue ones are way off. They're in the middle. These planes are simply drawing the cutoff between red and black for what we know are static regions of the channel, like the pore in S1, the first and second helices of the voltage sensor. So, the real outliers are here in this region of S4. For example, this blue one and this red one are only 10 angstroms apart. But this is accessible from the inside. Remember, you're looking at an open conformation. That means this must come down at the level of its neighboring blue positions in the closed conformation. In maybe a truly, fully open conformation at 100 millivolts, where we do the accessibility to the outside, these ones probably come all the way out there. But what you can deduce here is there's more than a 15 angstrom displacement of this region here. And that's where those positive charges are. So it's a very big-- you deduce that it has to be a very big displacement of this part of the protein across the membrane in order to access. And we get a hint about how this could happen if you take two different voltage dependent channels. They're both more or less in an open conformation. But there's a hint in one of them that shows that the helix, S3a and S3b, breaks in one but not in the other. It's just kinked in the other. This connects to the S4. And so we think this break lets this voltage sensor paddle act like a lever. And in fact, if you look in the sequence here, you find a particular amino acid, a proline, that disrupts the hydrogen bonding pattern at that position of this helix. So we then get sort of an evolved weakness in this helix, so that under the force of the electric fields, it can break the helix and move this S4 inward to close the channel. What was I going to say here? OK. So the idea there-- I'm not going to show you a closed con-- I don't know it. But the picture is that we have a sense of how the pore closes-- simple mechanical device with these little horizontal lever helices that can push down on it. And that would come about when the electric field is working on these charge residues to draw this part of this helix inward, which is directly connected-- see this horizontal helix? That's the one that has to get pushed down to close the pore. So, as a simple electromechanical coupling device, it looks quite simple. Voltage sensors surrounding it, the electric field works on this charge region, which pushes down, pushes down on the lever and forces the pore closed. And in fact, remember with that axon sitting negative on the inside-- in fact, this protein is at a lower energy, at 0 millivolts, in its open conformation. So in a sense, it's ready to spring open for the nerve impulse. By spring, I don't mean a harmonic system. Of course, it's all damped. But in fact, there's a strong force for this thing wanting to be open. Now, the origin of that, we don't know. In the structures, we don't see energy. But I think a lot of it has to do with the fact that when this thing is forced into its closed conformation, you probably get a larger exposure of-- you're certainly moving the arginines deeper into a lower dielectric environment. There are a lot more subtleties about this structure that give us hints about how it works that I won't go into now. But I just want to convey this notion of an electromechanical coupling device. When we do have a closed conformation, it will be much easier. I can say, here's an open and a closed, and here-- and we can imagine-- and then we'll worry about trajectories in between and we won't be happy then. But at this moment, we get a good sense of how this voltage sensor protein changes its shape in response to the voltage difference across the membrane and then is able to work on the poor via these horizontal helices. Now, the last point that I want to make is when you look at this protein, this is a very unusual membrane protein. Most membrane proteins, when they span the membrane, they're very hydrophobic. This is very hydrophobic, except where it can't be. And it can't be in a lot of places. So it carries a lot of charge. Some of these charges-- here, here, and here and here-- are counter-charges, negative charges that are presumably balancing at least out here and in here, but not in the middle, the positive charges as they move across. But still, these are not very stable proteins in the membrane. They do get inserted into the membrane, but they are not as stable as most membrane proteins. And that's, I think, because they have evolved to sense membrane voltage. In order to sense membrane voltage, you have to bring charges into the membrane, which is an energetic costly thing to do. But you know, if they don't bring the charges into the membrane, they don't send voltage. I mean, that's how life works. Most proteins are not at their most stable state. They give up some of their structural stability in order to accomplish their function. But when you look at this, with all this charge, you start to think, the membrane must be important here, the kind of membrane. And in fact, when you look at this protein from the top again, you realize, it's got an impressive perimeter with the lipid membrane here. I mean, this is a big, big contour with the membrane. The membrane has to be playing an important role in the function of these. In fact, in order to crystallize these-- these are the most difficult proteins I've ever worked with. And in order to crystallize them, it turns out we had to crystallize them-- in order to crystallize them in good, what we think are native conformations, we had to not use the standard method of detergents, but use detergent lipid mixtures. And in fact, in the crystal structure, we can see that the lipids organize around this protein almost making a bilayer. You can actually see-- so, the white mesh is electron density for lipid molecules. And you can see an outer leaflet here and a very distorted looking part of an inner leaflet here. Without the lipid molecules, you can't even purify these proteins. They aggregate and go to the bottom of the test tube. So lipid is very much part of their stability. And it's also very much, as not surprising, part of their function. So here's a simple experiment. We started to ask, well, what's with the lipid membrane, and started to wonder, for example, I mean, why are lipid membranes what they are? Why are they phospholipids? Why? And so I sent emails around to people asking this question. I got a lot of funny answers, ranging from, that's a stupid question. That's like asking why is DNA the base pairs it is? I don't think it's the same kind of question. Sol Gurner had the best answer. He said, they're not. He said, the most common membrane-- I knew this, actually. It was kind of a trick question. But you can't trick him. He said, the most common membrane in the world is not a phospholipid membrane. It's galactosyl lipids-- digalactosyl, monogalactosyl, and [INAUDIBLE]. They're in photosynthetic organs and photosynthetic cells. Why? But we don't know. We don't know why those kinds of lipids are used for photosynthetic membranes and why phospho-- at least I don't know, why it's predominantly phospholipids for most cell membranes. There are other ways you can make lipid bilayers. Why did nature pick what it did? Here-- so we started wondering, well, what could we do? We take other kinds of lipids, what would our channels tolerate? Here's a funny lipid DOTAP-- here's its long name, molecular biologists know about this-- called TransFectin. It's the lipid molecule used to get DNA into cells, because it's very fusogenic with phospholipids. It looks like this-- no phosphate. It's got a quaternary amine head group, positively charged. You can make very nice bilayers out of it. You can even take a potassium channel, like and a calcium activated potassium channel called MTHK, put it into DOTAP bilayers, and it functions. Stimulated by calcium, inhibited by scorpion toxins. But if you put a voltage dependent channel in that kind of membrane, it doesn't work. And here is an experiment where-- so in this little cartoon here, this is depicting a lipid vesical made of phosphatidylethanolamine and phosphatidylgylcerol, fused with-- so these are channels in the vesicals. We're fusing them with planar lipid bilayers of the same lipid. You fuse them in, step the membrane voltage, here are the channels. You put the channels in DOTAP lipid vesicals, fuse them to a PEPG bilayer, and there are the channels. They work. But the PEPG bilayer. Notice they're different. They're different than these. So maybe some DOTAP went in and changed the properties of that membrane. Well, you take DOTAP vesicals and fuse them into DOTAP bilayers, and you get no function. Don't work. But you could say, how do you know they fused in there? Well, you can tell they fused in by doing an experiment like this. First you make a DOTAP bilayer. You put the fused channels in DOTAP lipid vesicals into them and start pulsing that membrane. And then at some point after you've been pulsing it, shoot the membrane with phospholipid vesicals that contain no channels, just so they'll fuse in. And what happens is, channels start to wake up. They had to already be there. So you know they were in there but couldn't work. They seemed to need a phospholipid membrane, the voltage dependent channel. And in fact, if you take the DOTAP membrane and put just this lipid that has only a phosphatidic acid head group, just a phosphate with a minus charge into the DOTAP layer, that makes the channels work. So you've made it happy. You've satisfied it with a phosphate. But if you put EDOPC, which is a phosphotriester-- has the phosphate, but no negative charge-- doesn't work. So it seems the negative charge is very important, not just having the phosphate. You can even take a bilayer out of DOTAP and then take little short chain phospholipids that by themselves will not form decane bilayers. And you kind of stoke this membrane, dope it in. And just by putting some of these head groups in here, you can start to activate the voltage dependent channel. So it's very clear that you're giving it something that it really needs-- in this case, the phosphate. And recall that this is very charged. And maybe part of the reason that voltage sensors evolved positive charge arginines is because they evolved in phospholipid membranes, where it could actually in certain conformations, some of these, use the phosphodiester to stabilize conformations of the protein. And in fact, if you start messing around with the charge density-- so here is a low negative charge density membrane, or relatively so, with POPE, POPG, then DOPA, this has a higher charge density. And then this is DOPP, a pyrophosphate, what happens is, it's harder and harder to open this voltage dependent channel. Provide some hints about how we might capture a closed conformation too, doesn't it? So by fiddling with this head group this way, you can actually change the properties in many more aspects of changing than the voltage dependence of turn-on. But we're kind of focusing for time on this one property of the voltage dependent channel, where the midpoint is, so to speak, of its turn-on curve. And you might ask, is it only the head group that's important when we look carefully in the structure? You see lipid molecules in very interesting positions. I don't know if you noticed when I showed you that movie with the lipid meshes on the lower leaflet-- it wasn't even a leaflet-- there were lipids in very funny-- they weren't forming a nice plane. They were pulled up, and in some cases pushed down. This particular lipid is very well defined. And in fact, it's head group is far-- this lipid is half pulled out of the membrane to make its binding site in between the voltage sensor and this S4, S5 linker helix, this lever-like helix. And you find this very tightly in there. And in other places in the channel, we see specifically bound lipids. So you wonder whether not only the head group or the glycerol backbone, but maybe even the tails would be important. And if you start to look at that, you see, in fact, you can get very dramatic effects of that part of the lipid molecule as well. So here is looking at a pair of voltage pulses in the KVAP potassium channel, one of the other voltage dependent potassium channels that we studied. So in this experiment, what you do is you-- you're holding the membrane negative. You step the membrane positive. Here's the [? capacitor. ?] Transient channels turn on. You step back. Then you wait some amount of time, and you step again. And look, at the second step here in this picture, there are way fewer channels than there were here. And in fact, if you make the time long enough, of course, then the second pulse looks just like the first. So, what you see there is it takes time for the channel to recover and be able to activate again. So you make a plot here of the ratio of this current to this current as a function of the time interval in between. And notice in one lipid called DPHPC-- which does not have an alkyl chain, but has a fentanyl chain, so it's got little methyl side chains on it-- what happens is the time, the refractory period, we call it, is extremely short for it to recover. Whereas in POPG and POPE, it's very, very long-- up to hundreds of seconds time constant in recovering. So you see, what's happening here is the-- it's a memory in the molecule. And it takes some time. And what that really means is it depolarized and it got into some state where it can't now get back to the closed that is primed to open again. And it's apparently moving around there in the membrane trying to find itself in its closed conformation again, being ready to open again. This kind of property is very important because probably some of you are thinking when I told you this nerve impulse was running from left to right, you're probably wondering, how come? Why wasn't it going from right to left? How did it know? And the reality is, it didn't know. The only reason it was going from left to right is because somebody started it over here, and it went this way. If you started it over here, it would go this way. But why doesn't it go both ways? Well, if you start it in the middle, it will. But how come when it's traveling down, it doesn't spit new ones out the back? You know, why doesn't it keep shooting echoes out the back? Because the channels right behind the impulse aren't ready yet. They take some finite amount of time. And actually, that's a very important-- so these are not linear time invariant systems. These are very time variant neurons. And in fact, what we find is-- so in this case is an example where you get a huge dependence on this time of refractory, just based on changing the lipid tail. And so, I want to end on the following thought, that I think is-- that I've actually become very interested in and I think is relevant to the Kavli Center, and maybe some efforts here. And that is, do you think we could make artificial membranes? Do you think we could make materials and take components from biology and put them into it? And I started to ask Sol this question, and he said, but will these things work? And how rigid-- what are their requirements? I said, I have no idea. I don't think anyone knows. And so my real interested in it is this-- not necessarily to make new materials, but I think that if we want to understand the cell membrane, one way we could do it is try to engineer it. And if we could make it out of different materials, that would force us to really learn what aspects of this thing are important, because it really is quite a black box right now. And so, this is a direction that I'm interested in going in, and it'd be worth-- I'd like to get as many ideas from people as I can. Let me finish with acknowledgements. KVAP channel structure and function, [INAUDIBLE], who is now an associate professor at Southwestern. [INAUDIBLE], who is soon to be looking for a job. He's a postdoc in my lab. [INAUDIBLE] is my wife, who works with me. And none of this would work without her. And Vanessa [? Ruto ?] is a graduate student in my lab who now is in Richard Axel's lab at Columbia. [? Jayun ?] Chen is a technician in the lab. [INAUDIBLE] is a postdoc in the lab. Steve Long solved the structures of the eukaryotic KV channels-- KV 1.2 and the padel chimera, working with [INAUDIBLE] on the padel chimera. And Steve Long is now at Memorial Sloan Kettering on the faculty, Assistant Professor. Ernie Campbell is a technician in the lab. And the lipid studies were carried out by a graduate student, Daniel Schmidt. And [INAUDIBLE], who is now an assistant professor at UT Southwestern. Thank you very much. [APPLAUSE] SPEAKER 2: Questions? AUDIENCE: One of your earliest slides, you [INAUDIBLE] in the opening of the channel. Is that a real effect, or does that slow down [INAUDIBLE]? RODERICK MACKINNON: Yeah. You mean the fact that it is opening sigmoidally. Yeah. No, that's definitely a real effect. The voltage dependent sodium channels, it's sigmoidal because in fact these are not really two state closed-open, which would be exponential. So in fact, when you look at the protein structure, you realize a lot of stuff must happen when this thing is going from a closed to an open conformation. So I look at it really as a passage time problem, where this thing is in a closed shape, and now the sensors are diffusing to their open conformation, and the protein is wiggling to its open confirmation. So that's real. And the voltage dependent sodium channels that cause basically the initial phase of the action potential and nerve conduction have the shortest periods for just the reason you're raising. And I think they're kind of pushing the limit of what can happen. But they're not that short. And I think that was an early on sign that a lot is happening when one of these channels goes from a closed to an open confirmation. So I think biology did what it could, and it came up with what it did. But on sort of molecular kinetic timescales, these are pretty slow. AUDIENCE: [INAUDIBLE]. I've always wanted to ask the question, do you think [INAUDIBLE]? RODERICK MACKINNON: No. I mean, it is a funny coincidence that in the Hodgkin Huxley theory for the potassium current, for the time-dependent turn-on, they modeled this with a [? four ?] power. I don't think really, no. I thought about it and looked at it. I think it's an interesting coincidence, yeah. One more thing. The fact that they needed a power certainly has to do with that it's a multimeter, and that there's a-- but just the rate-limiting steps, I don't think-- it's not as if this is a power-four process, where each one is going switch, switch, switch, and when you get four-- not really. SPEAKER 2: Sol? AUDIENCE: Can you [INAUDIBLE]? RODERICK MACKINNON: We can do that functionally, in that we can put them in-- they' go in both ways, but we can then just wipe them out in one direction. AUDIENCE: How do you do that? RODERICK MACKINNON: With specific toxins or antibodies that we have. We can easily do it. We can freeze them. We can basically remove them, for all practical purposes, in one direction. AUDIENCE: OK. So if you were to repeat that experiment, were you to use vesicals, did it matter which side you used the vesical on? RODERICK MACKINNON: Ah, very good question. No, we could activate them from both sides. We wanted to make-- Sol is asking, if we took the phospholipid, the naked phospholipid vesicles to reactivate the channels in DOTAP, Sol wants to know if what we really did is cause the DOTAP vesicals to fuse in. Is that it? Yeah, no. No, it doesn't depend on that. We did other titration experiments where we made mixtures of these lipids to make sure it wasn't that case. And I'm pretty sure we could fuse them from the opposite side and get it. But I would have to go back to the notebook to make absolutely sure that I'm giving you the correct answer on that. But we worried about that and satisfied ourselves that the channels were already in there. I think also, the experiments with the short chain phospholipids in the mixtures really settled the question, was it that you need in there a phosphate group, a negative charge? Because in that case, those won't even form bilayers. It's just really doping in head groups in a sense, and it activated them. So-- Sorry, I didn't mean to-- AUDIENCE: [INAUDIBLE] the same question. It looks like your arginines are mostly on one side, so the phospholipids [INAUDIBLE]. AUDIENCE: Yeah, but that's in the open conformation. We don't know. And in fact, I'm suspicious that there's quite a bit of exposure on the other side. And it's just a-- it's again some-- it's the kind of argument that could just be wrong. But notice that as I went from the POPE, POPG mixture to the DOPA mixture to the DOPP, it looked like the closed state was being stabilized. It took more depolarization to open it. And the simple interpretation would be, you must be really stabilizing the closed state by increasing the charge density of the head group layer. Again, there are other ways that could come about. Maybe what I just said is wrong. We don't really know? AUDIENCE: Have you tried to look at the structure with the [INAUDIBLE]. RODERICK MACKINNON: Yes. We've tried. And so far, so far, we've only gotten the same confirmation. But there's a caveat there. The best crystals we have are with the padel chimera. And the DOPP does not-- it shifts it in the same direction, but not nearly as much as for the KVAP. Has the same effect, but not nearly to the same extent in that voltage dependent channel. But we're still working on it. AUDIENCE: Thinking about your question about the interactions with lipids in general. I find myself thinking about these channels' cell membranes, where we know quite a lot now about the effects of the proteins on the distributions of the lipids in the membrane. We know, of course, for cell membranes for lipid distributions [INAUDIBLE]. And we also know that there's [INAUDIBLE]. And it seems to be [INAUDIBLE] going to go into the lipid functions that [INAUDIBLE] got a long way to go. RODERICK MACKINNON: Yeah, yes, you're right. This is extremely primitive. I mean, the way we're looking at it, it's very, very, very rudimentary phenomenological right now. And it's a complex path. That's right. It's daunting, in fact. Thinking about the cell membrane. But it's interesting, isn't it? You're not discouraging me, are you? AUDIENCE: Au contraire. [INAUDIBLE]. RODERICK MACKINNON: Don't use those. AUDIENCE: [INAUDIBLE]. RODERICK MACKINNON: Interesting you should say that. SPEAKER 2: OK, one last question. AUDIENCE: Have you been able to experiment [INAUDIBLE]. RODERICK MACKINNON: In principle, it should be possible. But we are using decane black lipid films. And we have to make folded bilayers. And it's something we will do but haven't yet done. He has been a horse wrangler in New Mexico and a competitive sharpshooter in Massachusetts -- not to mention an engineer, a businessman and a skipper of very fast sailboats. Now best known as the pioneering biophysicist behind fluorescence correlation spectroscopy (FCS) and multiphoton microscopy (MPM) -- revolutionary imaging techniques invented in his laboratory -- Watt W. Webb, professor of applied physics and the Samuel B. Eckert Professor in Engineering was joined by colleagues and friends from around the world at a June 16 symposium marking his 80th birthday.